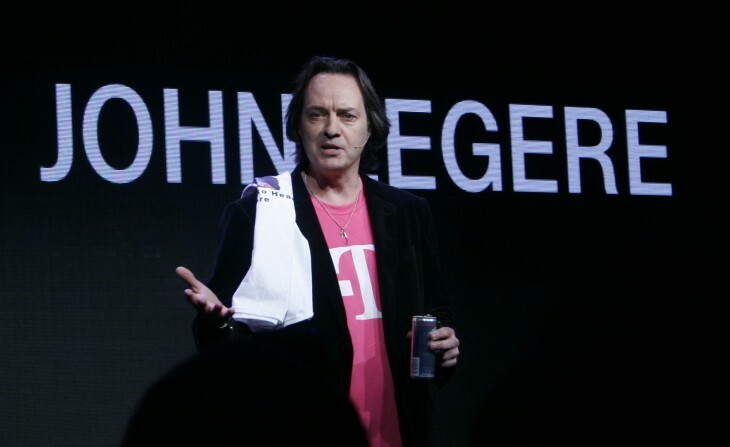 Why on earth did Twitter give T-Mobile's John Legere his own emoji? Why on earth did Twitter give T-Mobile’s John Legere his own emoji? T-Mobile’s CEO John Legere is many things: an outspoken critic of anyone who criticizes the company he runs, a gatecrasher of parties thrown by his rivals, and Trumps’ biggest troll. But is he worth of an accolade only previously reserved for the Pope? This week, Twitter anointed T-Mobile’s forthright leader by giving him his own emoji that you can use. If anyone adds the hashtag #tweetjohn, a grinning Legere will appear in your Tweet, like a genie, but a lot more blunt. He’s even gone so far as to put his emoji on a t-shirt which he wore over the Easter weekend. “When I touch as many people as I can, I not only become a better CEO, I see customers coming in… some customers come in and say ‘I can’t believe you’re on Twitter and liked my Tweet, I’m switching.’ I’ll take that,” Legere told CNN Money. But, we have to ask, why? Sure, we can understand how the Pope might warrant one, but John? He’s the CEO of a telecoms company that hasn’t exactly been a shining example of corporate responsibility. He also didn’t have to pay for his emoji, while others such as OneDirection and the Batman vs Superman movie have. According to a spokesperson ‘familiar with the matter’ it was his ability to humanize the T-Mobile brand with his mix of personal and professional Tweets. You could hand out that same description to a whole host of controversial CEOs, but are they been rewarded for their work beyond oodles of cash? It’s a strange move and one that highlights how tech a company’s increased editorializing can backfire when they choose not to act in a consistent way. Now that Twitter has turned 10, it needs to be able to justify its decisions to a wider group of people instead of its core audience. If creating features that usually cost companies thousands for anyone it sees fit, I wouldn’t be surprised if those fee payers might be a little peeved with the decision.